Suffered a serious injury as a result of being struck by a motor vehicle as a pedestrian? We will use over 35 years of experience to get you the best outcome. Who is responsible when a pedestrian is hit by a motor vehicle In Victoria? Unfortunately, motor vehicles and pedestrians have to travel on the same roads and even footpaths together. Their interaction creates the risk of serious injury should a pedestrian be struck by a motor vehicle. The statistics are quite alarming, with pedestrian deaths averaging 37 a year over the last 5 years. Coincidentally, that same number, 37, is the total number of pedestrians killed in 2018. Death is sad but many are seriously injured when hit by a motor vehicle. Over a one-year period from 2017 to 2018, 462 pedestrians required hospitalisation with 115 requiring more than 14 days in hospital. Playing, working, laying or standing on carriageway (8%). 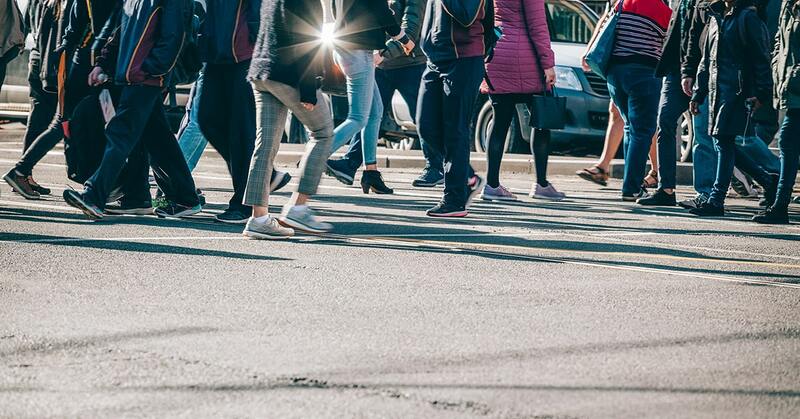 From our experience, ‘the crossing of the road’ accidents are the vast majority of pedestrian accidents, with most occurring while the pedestrian is within a designated crosswalk for the road. Then we have a very common and sad combination of a vehicle leaving a driveway or other parking area and crossing a footpath, where the driver, a pedestrian, or both have failed to take notice of each other. We also commonly see pedestrian accidents where someone alone or with others is playing on or alongside the roadway, and in the excitement of the game being played enters the roadway and is struck by a motor vehicle. Most of these accidents involve children, sometimes at an age where they really do not appreciate the dangers of a moving vehicle. Drivers or Pedestrians failing to see each other, with no reason other than inattention, or with some reason, such as poor weather conditions. Many children and elderly persons are struck by motor vehicles as they walk or ride a bicycle along a footpath, usually as the vehicle is exiting and vision is restricted. Many driveways to homes and business have limited width and have barriers to their sides, such as other homes or buildings, or greenery which blocks vision of the footpath to the sides of the driveway. In the haste to leave a driveway or simply lack of careful attention, pedestrians are struck. Seek immediate medical attention as needed, be it ambulance, hospital or simply your GP. Take down the names of any witnesses. Report the accident to TAC and get a claim recorded. Engage a Specialist Personal Injury Lawyer. Sadly, most seriously injured pedestrians are not able to speak to the police at the scene of the accident, and the only version of the accident the police hear is from the driver that hit the pedestrian. That version may be biased in favour of the driver and the pedestrian is not able to obtain the names of witnesses who may be able to provide a more complete picture of what has happened. Should anyone reading this article be in the position of witnessing an accident at the scene, it is very helpful to give your contact details to those involved. While it may not seem so important, what an injured person says to the ambulance attendants, hospital staff and treating doctors about how the accident occurred may become very important. Such statements are likely to be the only version of the accident a pedestrian is able to give, and that version of the accident is recorded. Later on, everyone will be looking very carefully at what the pedestrian said at that time, should there be any conflict in the versions of how the accident happened. Henry Carus + Associates is a specialized personal injury firm where we focus on TAC motor vehicle accidents. We regularly represent pedestrians in road accidents, especially the elderly. Our Henry Carus is a Specialist Personal Injury Lawyer as recognized by the Law Institute of Victoria. He is also a former NYC Trial Lawyer and has handled hundreds of pedestrian related accidents. His expertise is in accident reconstruction, gathering the evidence and expert opinions needed to show what really happened in an accident. When he first came to Victoria, he provided that expertise to the TAC as a member of an independent law firm. Today, he provides that expertise to those injured in achieving successful outcomes for injured pedestrians. Engage an expert to advise on how the accident happened. The sooner our firm is engaged, the sooner we can start to work to, not only obtain the evidence but, ensure it is not lost with time. This process is essential should the pedestrian face a situation where a driver wrongly says the pedestrian is at fault, and that is all that is recorded by the Police on the day. Many seriously injured pedestrians find that the TAC immediately comes to their aid with support for medical and related expenses and with income support. They do not understand that at the same time, the TAC is the insurer for the motor vehicle that has struck them and may take a hostile view of any claim for common law compensation later on. More importantly, the TAC immediately investigates many accidents to protect itself from common law compensation. It is with all the above in mind that a seriously injured pedestrian should waste no time in seeking the support of specialist personal injury firm, like Henry Carus + Associates. We as human beings are not designed to take the force of a moving vehicle. The TAC has carefully researched the effects of speed in accident injuries and reflected that research in its “Wipe off 5” advertising campaign. One goes from a very serious injury to just a bruise. The extent is both that of those injuries suffered initially and more injuries which develop over time. It is with time that the full extent of the damage can really be understood. And there is more when family members are also psychiatrically affected by the injuries suffered. The advertisement also says the driver is responsible for the accident because he was going over the speed limit. What the TAC advertisement does not say but can be understood is that if driving at the speed limit the driver would have been very likely to have been able to stop. The law imposes a very high duty on drivers because motor vehicles are essentially a lethal weapon. The law recognizes that a pedestrian can make a mistake but it is up to the driver to be observant and in control of his vehicle so that he or she can take steps to avoid an impact if possible. A driver cannot simply say the pedestrian was in the wrong when the driver could have avoided the accident. 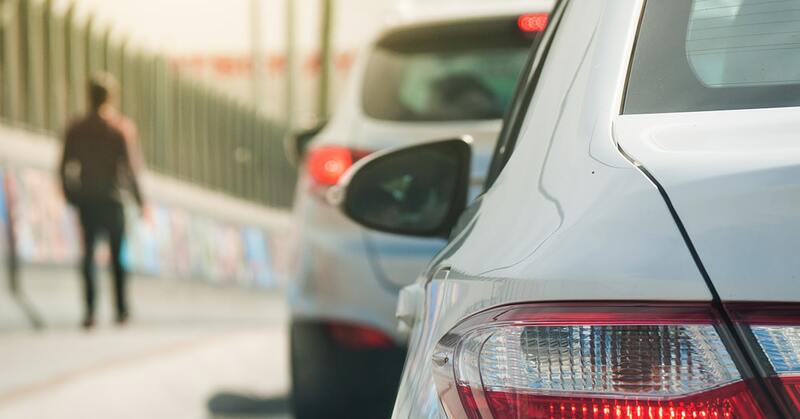 Many times, the driver may have had the right of way but still be liable because if attending to the road, the driver could have avoided an accident. The extreme example is an open road, no obstructions and a child crossing against the light – the driver with the right of way seeing the child cannot simply drive into the child. That logic has to be applied in all pedestrian accidents where the law will carefully examine the driving and the reactions taken by the driver to the pedestrian. Many times, a pedestrian may have made a mistake, like the young child (in the advertisement mentioned above) on her bicycle, but the real fault lies with the driver going just 5kms above the speed limit. Unfortunately, we find many times the police are no longer undertaking accident reconstruction, or even recording the evidence at the scene of an accident such as skid marks. Without evidence it is hard to prove at what speed the driver was doing at the time of the accident. That is why it is so strongly recommended that all seriously injured pedestrians immediately engage a specialist personal injury law firm, like Henry Carus + Associates, so that such evidence can be gathered and preserved for later on. It can turn a matter where the TAC may say liability rests primarily on the pedestrian being in the wrong, to one that in fact the vast majority, if not all, responsibility lies with the driver. All of these concepts, liability, negligence and contributory negligence, can be very complicated concepts to understand and again why a seriously injured pedestrian needs to engage a specialist personal injury law firm. Can Anyone Else Besides the Driver be at Fault in a Pedestrian Accident? We have seen many accidents occur between a motor vehicle and a pedestrian, where the design and layout of the road was very likely to have been a factor in the accident. If that does arise, it may be necessary to look at the local road authorities for the design or condition of the roadway. One example we had recently was of a T- intersection, where there was a stop sign at the end of the street and a speed bump a short distance from the corner. Unfortunately, the pedestrian crossing area was before the stop sign. Our client saw the stop sign, saw the car slow down for the speed hump and thought she had the right of way to cross the street. Sadly, the car just sped up to the stop sign itself and in doing so, struck our client. Arguments were raised about who was in the right by the TAC, but eventually, full liability was accepted. If not, consideration would have had to be given to joining the local road authority for how the intersection had been designed. It was only after our client’s accident that the local council took action to redesign and mark the intersection in a way to make it clear the pedestrian had the right of way. 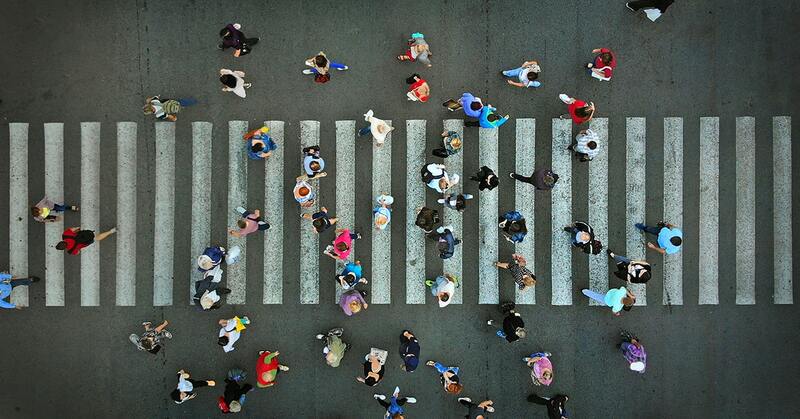 Who Pays for Pedestrian Accident Compensation? The TAC is a multi-faceted state agency where it is responsible to provide support to all those that are injured in a transport accident, and at the same time they are the insurer for the vehicle that has caused the accident with a pedestrian. As the insurer, they will be the state insurer who will pay the injured pedestrian compensation for pain and suffering and any for income loss. No compensation is paid for medical and related expenses, as that is a benefit that is given to all, and it remains available to all injured after any common law settlement. The amount of compensation that is paid can vary, as there is no specific formula for calculating what a fair amount is. In our experience, a specialist personal injury lawyer can make a vast difference in the amount a seriously injured person can receive, and our firm is determined to achieve the best possible outcome – consistent with our firm motto of YOU DESERVE MORE. In fact, we demonstrated that mindset in a recent pedestrian claim settled with the TAC where our client suffered a closed head injury as a result of the accident and could not recall the details of the accident itself. The police responding to the scene of the accident had simply accepted the driver’s versions, putting our client at fault for the accident. Based on our investigations, including accident site visits by our Henry Carus himself to replicate the conditions at the time of the accident, we were able to have the TAC accept at a conference that in fact it was the driver who was totally at fault. The TAC then as the insurer for the driver provided very fair compensation to our client. Unfortunately, in our experience, many firms are not willing or able to have their experienced specialist lawyers undertake personally the accident investigations that is really needed to achieve an excellent outcome. How Long will a Pedestrian TAC Claim Take to Resolve? The TAC has a very pro-active approach to resolution of a serious injury claim – where once a serious injury certificate is granted, there is an opportunity to resolve a claim before legal proceedings are needed. It then becomes a matter of getting the evidence about liability addressed right away, waiting for a person’s injuries to stabilize, obtaining all relevant medical and expert reports, getting the serious injury certificate granted by TAC and then seeking an agreement on value can be reached. In our experience, many of these matters can be resolved between one and two years after the accident. Depending on how severe the injuries are, some extra time may be needed to allow sufficient treatment to be provided to say maximum recovery has been reached, and that can push back the date of settlement. If there are hot differences on who is responsible for the accident, you could find yourself in court, and that could add one more year to possible resolution. When to Contact a Pedestrian Accident Lawyer in Melbourne if you have been Injured? If you have been injured as a pedestrian by a motor vehicle, or in a tram, train or bus, you should contact our firm as soon as you can for our FREE consultation. In that consultation you will have the opportunity to discuss the merits of your claim, how long it is likely to take until resolution and possible outcomes.